Producing a Study on the management of maritime pollution in the English Channel. Thus, the EMDI project fueled with content the work and positions of the Arc Manche. 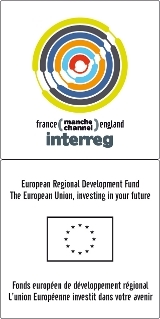 In addition, by highlighting the specificities of the Channel area, the EMDI project has largely contributed to the widening of the eligibility area of the European cross-border programme and to the setting-up of a specific programme, the INTERREG IV A France (Channel) – England programme. Finally, the EMDI project brought some convincing arguments for the recognition of the Channel area as a coherent co-operation area in Europe and showcased the possibility for the Channel area to be positioned as a maritime basin for experimenting the Integrated Maritime Policy promoted by the European Commission. Approved in June 2009 by the Interreg IV A France (Channel) - England programme, the CAMIS project seeks to confirm this position whilst taking into account the recent developments in European and national policies.